Start with a gallon of vanilla ice cream. 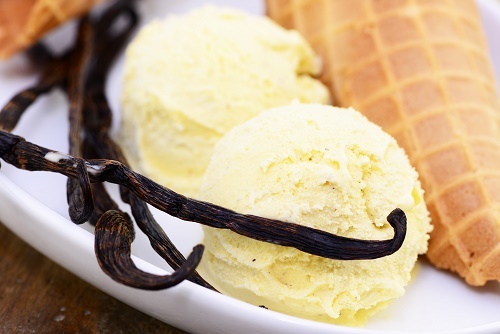 Allow the ice cream to soften at room temperature for several minutes. Add fromage blanc cream cheese and crumbled chèvre (French for goat cheese), and then gently stir with a spatula. Leave the mixture the freezer and freeze for an hour.